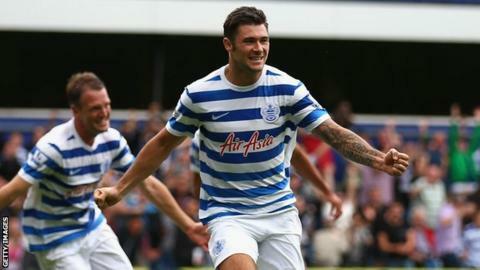 Queens Park Rangers claimed their first win of the season as Charlie Austin's goal gave them victory over Sunderland. Rangers came into the game having suffered three straight defeats, in which they had not managed a goal. But Austin - leading the line in the absence of Loic Remy, who was withdrawn from the home starting XI ahead of a move to Chelsea - ended that run with a close-range strike following a corner. Sunderland battled hard but fell to their first defeat of the season. QPR had to wait until mid-December for their first league win during their last Premier League campaign in 2012-13. That they have achieved this feat a full three-and-a-half months earlier this time around will give them hope of avoiding a repeat of their relegation of two seasons ago. It was far from a cohesive performance from Rangers, who have still yet to work out their best formation or starting XI, but there were significant improvements from their first two league matches of the season, particularly their 4-0 mauling at the hands of Tottenham last weekend. Harry Redknapp began the season using the much-discussed and often maligned 3-5-2 formation, currently being put to largely ineffective use at Manchester United by Louis van Gaal. QPR have had to wait over 17 months for a Premier league win, having failed to claim victory in the last nine games of the 2012-13 season (in which they were relegated) and the first two matches of this season. Their previous top-flight win to Saturday's was also against Sunderland at Loftus Road (3-1 on 9 March). However, whereas Van Gaal seems intent on persevering with the system, three straight defeats without having scored a goal was enough for Redknapp, who switched to a more familiar back four and a three-man attack. Remy was a part of that frontline until midday, when the club accepted a release-clause triggering offer for the player from Chelsea, thus prompting his withdrawal and seemingly the end of his career at Loftus Road. The French forward had scored QPR's last three goals in the Premier League, going back to the end of the 2012-13 season and his intelligent movement and attacking instinct was missed by the home side. Fortunately for them, they also have last season's 20-goal top-scorer Austin in their ranks and the striker proved the match-winner on his return to the side following a hamstring injury. In first-half added time, Joey Barton's corner was met at the far post by Leroy Fer, who had earlier hit the crossbar with a powerful 30-yard drive, and his cushioned header was the perfect set-up for Austin to smash the ball into the roof of the net from 10 yards. The goal, and its timing, was a huge blow to the visitors, who had looked the more composed side for much of the first half. The returning Adam Johnson was a lively presence, creating two good openings with neat through-balls but neither Steven Fletcher nor Patrick van Aanholt could make the most of them, with the former seeing his shot saved by Robert Green and the latter looping his effort over the bar. QPR had more control in the second half forcing their opponents to increasingly levels of desperation. The Black Cats finished the game with a host of forwards on the pitch including Jozy Altidore and Emanuele Giaccherini. The Italian came the closest to earning his side a point but his powerful 25-yard shot was palmed away superbly by the diving Green to ensure that QPR sealed just a fifth win in 43 Premier League games. Match ends, Queens Park Rangers 1, Sunderland 0. Second Half ends, Queens Park Rangers 1, Sunderland 0. Corner, Sunderland. Conceded by Clint Hill. Attempt blocked. Adel Taarabt (Queens Park Rangers) right footed shot from outside the box is blocked. Assisted by Bobby Zamora. Emanuele Giaccherini (Sunderland) is shown the yellow card. Emanuele Giaccherini (Sunderland) has gone down, but that's a dive. Substitution, Queens Park Rangers. Adel Taarabt replaces Leroy Fer. Attempt saved. Emanuele Giaccherini (Sunderland) right footed shot from outside the box is saved in the top right corner. Corner, Sunderland. Conceded by Armand Traore. Attempt blocked. Jozy Altidore (Sunderland) right footed shot from outside the box is blocked. Assisted by Emanuele Giaccherini. Corner, Sunderland. Conceded by Matthew Phillips. Attempt blocked. Patrick van Aanholt (Sunderland) left footed shot from outside the box is blocked. Assisted by Jozy Altidore. Attempt missed. Armand Traore (Queens Park Rangers) right footed shot from the centre of the box misses to the left. Assisted by Bobby Zamora. Attempt missed. Lee Cattermole (Sunderland) right footed shot from outside the box is too high following a corner. Substitution, Queens Park Rangers. Armand Traore replaces Junior Hoilett. Substitution, Sunderland. Jozy Altidore replaces Santiago Vergini. Attempt blocked. Connor Wickham (Sunderland) left footed shot from outside the box is blocked. Assisted by Adam Johnson. Emanuele Giaccherini (Sunderland) wins a free kick in the attacking half. Attempt saved. Emanuele Giaccherini (Sunderland) right footed shot from outside the box is saved in the centre of the goal. Attempt missed. Jordon Mutch (Queens Park Rangers) right footed shot from outside the box is too high. Assisted by Mauricio Isla. Rio Ferdinand (Queens Park Rangers) wins a free kick in the defensive half. Attempt missed. Junior Hoilett (Queens Park Rangers) right footed shot from outside the box misses to the left. Assisted by Bobby Zamora. Substitution, Sunderland. William Buckley replaces Steven Fletcher. Substitution, Sunderland. Emanuele Giaccherini replaces Jack Rodwell. Attempt saved. Matthew Phillips (Queens Park Rangers) right footed shot from outside the box is saved in the centre of the goal. Assisted by Leroy Fer. Attempt blocked. Adam Johnson (Sunderland) left footed shot from outside the box is blocked. Assisted by John O'Shea.